Home Interview with Keith Cruickshank, Distillery Manager of The Benromach Distillery Company Ltd.
We’re big fans of Benromach here at N&P. It’s a distillery that constantly brings forth some high quality, really well-made single malt whiskies. Full of flavour, and always interesting, they also manage to be astonishingly good value too. And value is becoming an increasingly rare thing in Scotch whisky, where premiumisation has become the way of things – so this is always good news for drinkers. 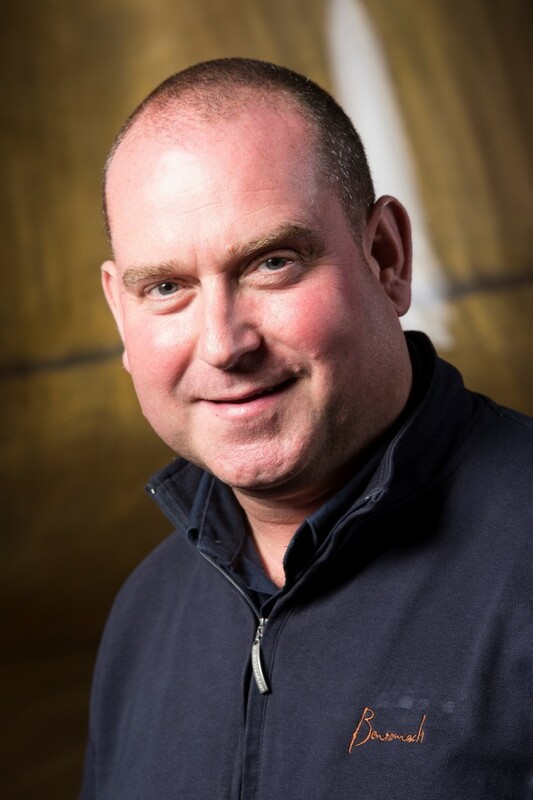 Given our admiration for Benromach and the new release of the distillery’s 20th Anniversary Bottling, we caught up with Keith Cruickshank, Distillery Manager of The Benromach Distillery Company Ltd, to hear a little bit about the distillery’s past, present and future. 1. You’ve recently launched the Benromach 20th Anniversary Bottling – just how different is the whisky landscape now to when you first reopened the distillery? The whisky landscape has evolved considerably over the two decades since Benromach Distillery reopened its doors in 1998. The single malt Scotch whisky category, in particular, has enjoyed sustained growth as export markets for whisky increase. This is, in large part, due to the growing number of discerning consumers around the world who seek high-quality products with provenance and a fantastic story. Handcrafted using traditional working practices and high-quality Scottish ingredients, Benromach is ideally placed to continue to grow within the single malt category as consumers become ever more engaged with the history and origins of the whisky they consume. Speyside is at the heart of Scotch whisky with over half of Scotland’s whisky production located in the region, and it is home to numerous world-renowned Scotch whisky brands. Benromach has an exciting role to play in the industry; last year the brand saw a 27% increase in sales and we were proud to receive several gold medals for product quality in international competitions. With forecasts suggesting continued growth for single malt whiskies throughout the world, we look forward to another successful year this year as we celebrate our 20thanniversary of distilling. 2. Can you recall at all what the distillery was like 20 years ago? What needed doing to bring the site back online? When we purchased the distillery in 1993, Benromach had been mothballed for a decade so we took five years to carefully breathe life back into this historic and beautiful building. When we began re-equipping the distillery, we focused on every detail that would contribute to developing the classic Speyside character we wanted to create: beautifully balanced with a light touch of smoke. Our gleaming copper stills are at the heart of this process, producing the sweet medium-bodied spirit we need for a long maturation. We’ve created a stunning and traditional whisky by design, not by accident, and the refitting of the distillery all those years ago played an important role in this. I was here when the distillery re-opened in 1998 and I am still here, now as Distillery Manager, two decades on. 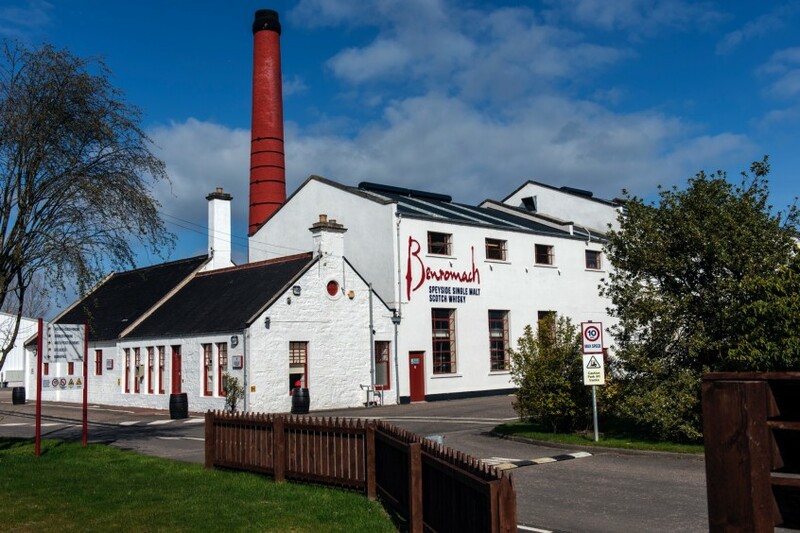 I can still remember taking the first mash and the first distillation was a momentous occasion, witnessed by the distillery team and the Urquhart family, owners of Benromach Distillery. 3. Benromach has built up a very loyal and passionate following over the past two decades. What do you think has contributed to this following? We’re very proud of the way Benromach has been received and has grown its following around the world. We are one of only a few distilleries in Scotland to use traditional methods without any automated machinery. We use all our senses when crafting our single malt Scotch whiskies, managing the process by sight, sound and touch to create the unique, handcrafted and authentic Benromach taste. It is this attention to detail that many consumers today value and are looking for when selecting their single malt whisky. When the Urquhart family brought the distillery back to life in 1998, they wanted to revive a traditional Speyside malt; beautifully balanced with a light touch of smoke. That is what Benromach is known for and loved for across the world. Alongside our flagship Benromach 10 Years Old, which was recently honoured with a gold medal at the World Whiskies Awards 2018, the longer maturation of Benromach 15 Years Oldsoftens its smokiness to hints of charred oak, while developing the wood imbued character of succulent honey, vanilla and fruit. This stunning dram was recently crowned Best Speyside Single Malt Scotch Whisky at the World Whiskies Awards 2018. But we’re equally proud of our ability to innovate and bring new and exciting expressions of Benromach to our loyal consumers that still retain the character and flavours for which the whisky is so well known. In recent years, we’ve also launched Benromach 100°Proof, a deliciously smooth and intense dram and Triple Distilled, one of only a few Scottish whiskies to try this technique. This limited-edition malt, a 2009 vintage, was matured in first fill bourbon barrels, with light, sweet vanilla, chocolate and lemon notes and a lingering smokiness. 4. There’s lots to admire about the production methods at Benromach – long fermentations and first-fill casks. You could so easily cut corners in the modern whisky industry and still sell plenty of bottles. What’s your rationale behind doing things so thoroughly? We believe there are no short cuts to perfection so nothing is hurried at Benromach. We use time-honoured techniques to craft our whiskies by hand, with our dedicated distillers orchestrating every step of the process. It means we make less whisky, but we believe this is essential when creating Benromach’s gorgeous and classic Speyside character. Our barley is grown in Scotland and malted with a little peat smoke. We take extra time over the fermenting process, allowing the wash to linger for between 3 and 5 days in our traditional wooden washbacks to help develop the right quality of spirit. The skill of our distillers is particularly critical when it comes to cutting the spirit. We judge when we consider the new spirit to be of the highest quality and take only the sweet heart of the run to spend years maturing in our first fill casks which we will fill by hand. 5. When the distillery restarted, it’s said you wanted to “to recreate the unique Speyside whisky taste”. Is there really a Speyside taste these days when every distillery has a wide range of flavours to be had and, if not, how would you describe the modern Benromach style? When we reopened Benromach Distillery in 1998, we wanted to create a classic character for our whiskies that rediscovered the Speyside style of years gone by. When distilling first began in the region, all Speyside distilleries malted their own barley. Hidden in remote glens, far from view, they would use cuts of local fresh peat to top up their fires when coal supplies were running low. This imparted a touch of smoke into the region’s whisky. With the advent of commercial maltings, this subtle Speyside smokiness was almost lost forever but, at Benromach, we wanted to rediscover this traditional Speyside character, recreating the light touch of peat smoke throughout our Classic range of single malt whiskies. Our flagship whisky is Benromach 10 Years Old which offers a beautifully balanced and classic Speyside single malt character, with notes of rich sherry, delicate spice, green apples and a touch of light peat smoke. It’s perfect for those who enjoy the sweet notes of a traditional Speyside whisky. 6. What are the plans for the next 20 years at Benromach – how do you see the distillery’s future taking shape? Earlier this year, we were proud to unveil that we are expanding our production due to the growth of demand in international markets. When we reopened the distillery in 1998, we had one dunnage warehouse and today we have five with plans to start building a sixth warehouse. We expect that production will continue to grow as more consumers around the world discover our distinctive and classic range of malts. Today we are exporting to over 40 countries and expect that to grow further over the next 20 years. Sales of Benromach are particularly strong in France, the United States of America, Germany, Taiwan and China. The UK market in particular will continue to be a key focus for Benromach as we grow the brand over the coming decades. 2018 is an exciting year as we celebrate our 20thanniversary of distilling. To mark this significant milestone, we recently unveiled the limited edition 20thAnniversary Bottling. Distilled during our first year of production, only 3,000 bottles of this 1998 vintage were released for sale globally. This new expression gives Benromach lovers the opportunity to own and taste a moment in time from the distillery’s rich history. We have a wonderful year of events planned. We successfully hosted the opening gala dinner at this year’s Spirit of Speyside Whisky Festival and will continue the celebrations throughout 2018 with further product launches, special tours and events, including attending several whisky shows. This is a defining moment in Benromach’s history as we celebrate the past two decades and look forward to the future. Our values of craftmanship, attention to detail and time-honoured techniques will remain central to everything that Benromach stands for as we look forward to the next 20 years.